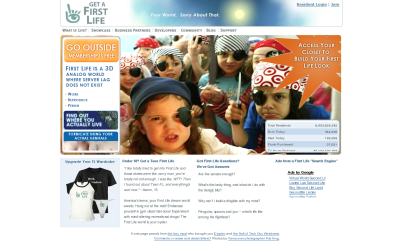 Forget Second Life, Get an account with First Life! With all the recent hype revolving around Second Life, Darren Barefoot created First Life. In case the site goes down or is sold off, here’s a screenshot. Click it for a full resolution view.